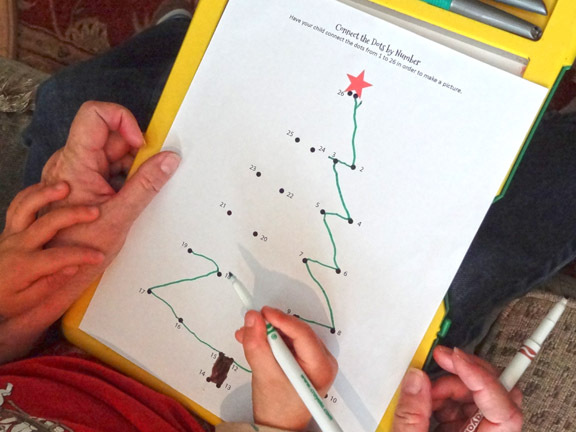 Christmas Printables Pack with more than 70 Christmas worksheets and activities for kids! Many of the activities have multiple versions so you can tailor the activity to your children’s developmental level(s). I have the kids put many of the worksheets into their Crayola Dry Erase Activity Centers so that I can re-use the worksheets. This is useful when both kids want to do the same worksheet or one kid wants to do the same worksheet multiple times. 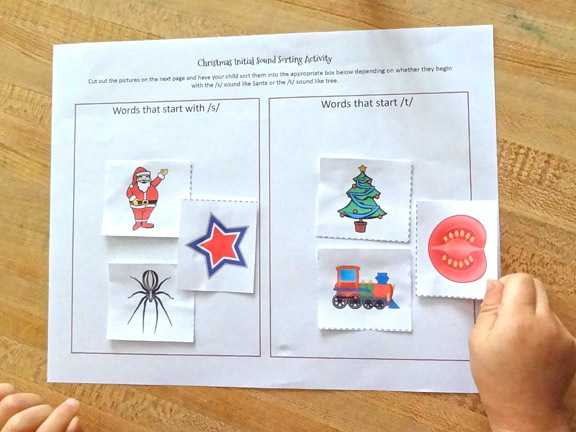 Some of the worksheets required cutting and pasting, like this sound sorting activity XGirl and I did together. 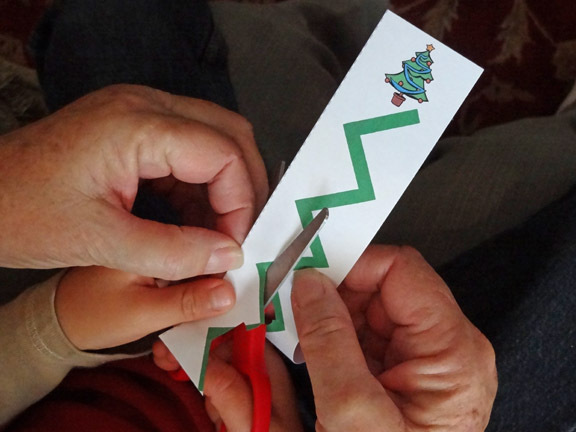 And both kids had a blast with these cutting strips. They like to cut along the lines first. When they are done with that, they like to cut out the small pictures at the top to glue onto various pieces of paper. 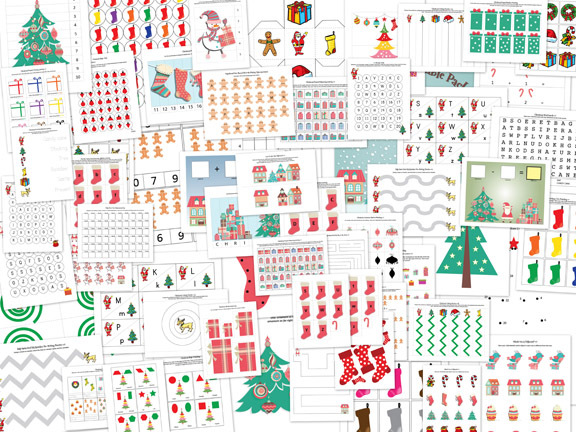 Want a copy of my Christmas Printables Pack? This is adorable. Thank you for sharing! Glad you like it! Thanks so much for commenting. I hope your niece enjoys some of the activities! Thanks for the great printable. Super cute! Wow, really amazing graphics and colors. beautiful ! You are so talented!! We hope you will come back this week. Thanks so much for sharing at Wednesdays Adorned From Above Blog Hop. This weeks party starts at 12:01 A.M. on Wednesday and runs through Sunday night. Have a great week. Debi, Myrna and Joye (The Busy Bee’s), Linda (Two Succulent Sisters). Thanks so much. I hope to join the Blog Hop again this week! I love these! 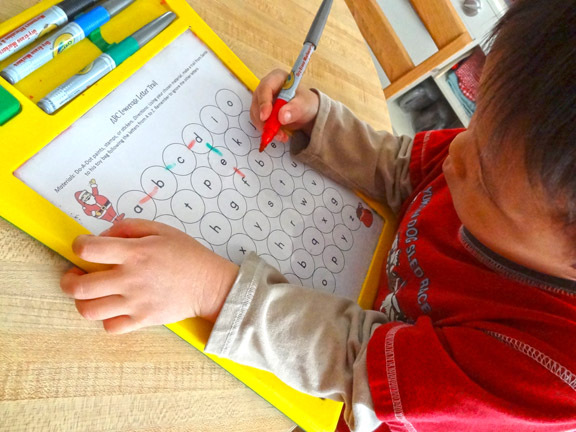 Fun activities and they are super cute! Thanks so much! Thanks so much for sharing at Wednesday’s Adorned From Above Blog Hop. What a cute pack! I love the color scheme =-) Thanks for linking up & sharing on TGIF! Thanks! I have printed the Present/Ornament sort to use with my little one and will be back for others. 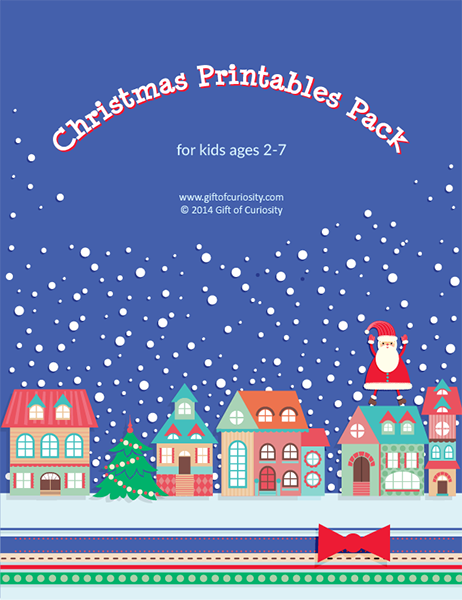 Such lovely gifts will make Christmas all the more happening and interesting for Preschoolers. LOVE LOVE LOVE this!!!! Thank you for sharing your time and talents — my grandkids will LOVE doing these when they come next week! You’re AWESOME!!! I’m glad you like it! Enjoy the time with your grandkids! Love this pack! What a great variety of activities for a wide age range. Thanks so much for sharing and helping me entertain an active 2 1/2 year old. This is sooo cute!! My girls will love this! Thank you so much. Love all of your ideas, can’t wait to do them with my grandson! CAN’T WAIT TO USE THIS PACKET FOR THE GRAND CHILDREN. Thank you for this wonderful pack. I know my students will love it. 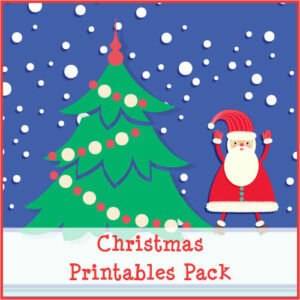 I would like to receive your Christmas printable pack. Thanks for the great ideas! How do I get this pack? I am already a subscriber and can’t get it. If you get my newsletters in your inbox, you’ll find the link to the Pack has been included in the most recent newsletters and will continue to be included in every newsletter from now until Christmas. I hope you enjoy! These are fantastic! 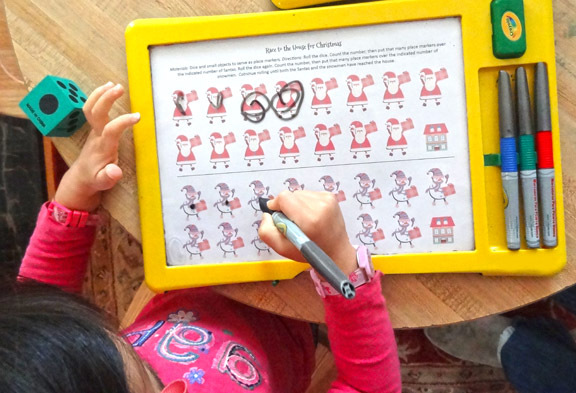 I am going to have to check out the dry erase activity center. 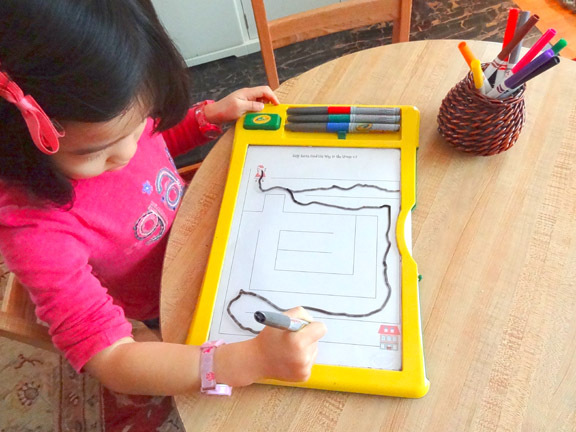 my kids prefer doing dry erase activities over regular paper, something about those markers. I’ve subscribed so I can get these. Thanks!! Oooh thank you – checks e-mail for link. This will be super duper good for my son’s fine motor and keeping him entertained. Thank you for sharing. Thanks for your comment. I’m so sorry you are having trouble. 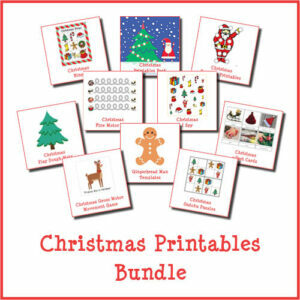 The link to the Christmas Printable Pack has been included in each of my recent newsletters. However, my records show that you have been sent a total of six newsletters but have not opened any of them. Could they be going to your spam box instead? I also sent you an email a week or two ago, but did not receive a reply. Could that have landed in your spam box as well? I found your letter in the spam box of my ISP mail box,and the records shown the date was Dec.15. Thank you very much. the problem shoot,and I got 100 pages in the pack, Kids like them very much. Oh good, so glad that solved things! This packet is wonderful! Thanks so much! Thank you! I’m glad you are enjoying it!